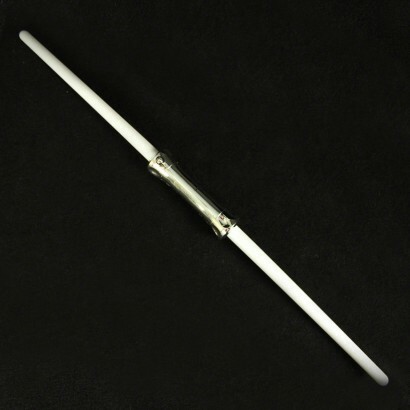 The Double Laser Sword is a smaller more colourful version of the Double Sabre Sword. 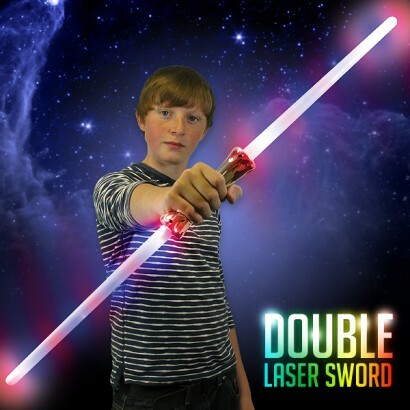 Smaller in size for smaller hands, this colourful double laser sword lights up along either side on six colourful modes; rainbow strobe, colour morph, rainbow static, red flash, blue flash and green flash. A spectacular mini sword that creates great effects!